Warm yourself up this winter with a bowl of my delicious (and healthy!) 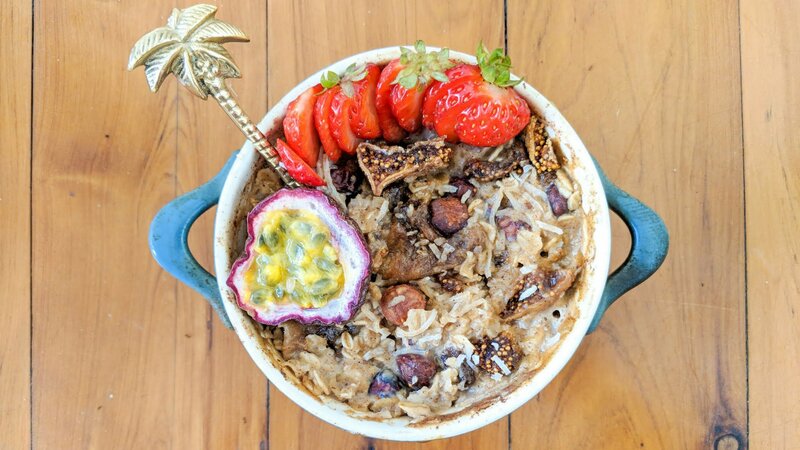 Baked Porridge. 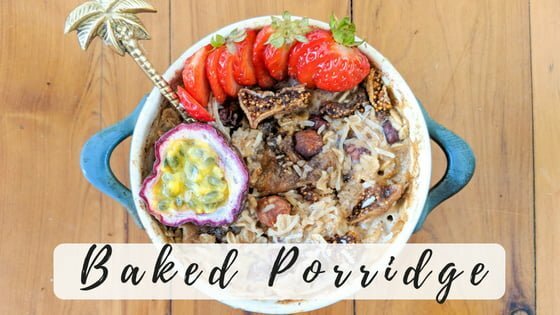 Extremely easy to make, my Baked Porridge is full of flavour & puts a spin on your basic porridge with the addition of cinnamon, vanilla, figs & hazelnuts. The recipe below makes about 2 serves but you can double the ingredients and keep the leftovers in the fridge for the week to enjoy. 2. Place all ingredients in a baking dish & mix. 3. Bake for 30-40min or until golden. Scoop out & enjoy. Note: Can top with fresh fruit if desired. *Editor’s Note: I was gifted with some of the ingredients in my Baked Porridge recipe from The Source Bulk Foods.